Yahoo! 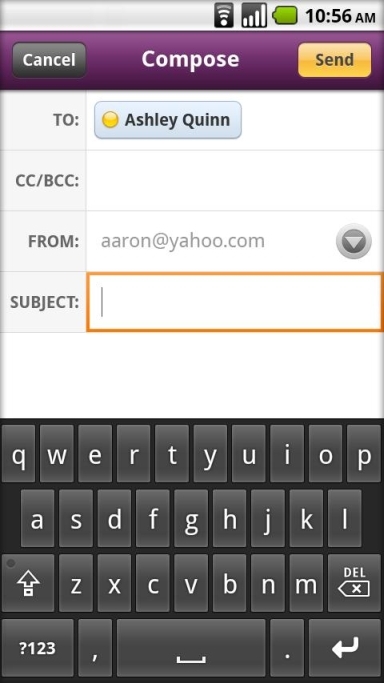 Mail for Android - The official Yahoo! Mail application for Android. · We're excited to introduce you to our new and improved search experience. Now, when you search for a person's name, you can easily filter the results by emails, photos, or files. · Big update! Yahoo Mail app is now enhanced with news, search, and snapshots of today's weather, sports scores, popular videos, News Digest and more. Get the info you need, all in one convenient app. · Easily manage folders: Create new folders, rename, or delete folders you no longer need, right from within the app. · Dropbox: Now get access to all your files on the go, thanks to our partnership with Dropbox! Tap on the attachment (paper clip) icon and choose "Share from Dropbox"
· we rethought how you switch accounts based on market feedback. you are now able to switch accounts via the sidebar menu. · Fixed issue surrounding missing emails that some users were experiencing. · Fix for force close problems (crashes) some users were experiencing. · Fixed issues with missing messages that some users were experiencing. · The entire content of messages is now available via search results, and the results themselves are retained for your convenience. Also increased app stability by addressing top crashes. · Fast: We have put in several enhancements to help you navigate menus faster and get to your emails much quicker. · Customized sounds: Now enjoy changing notifications sounds to your liking. 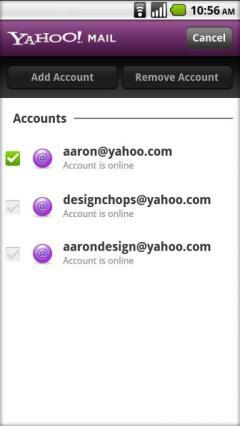 The setting can be found under Options >> Account Settings (email address) >>Notification Settings. You can select different sounds for different accounts, and also choose "No sound" if you prefer.